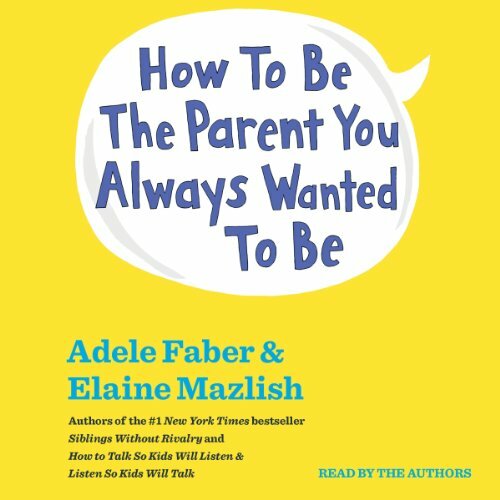 Adele Faber and Elaine Mazlish's down-to-earth, respectful approach to parenting has improved the lives of countless families throughout the world. Now, the authors' wisdom and advice are collected in this concise new edition of How to Be the Parent You Always Wanted to Be - an essential workbook and audio guide to their widely embraced and empowering methods of parenting - uniquely designed for busy parents on the go. If you listened to 'How to Talk', you don't need this one. A lot of stuff are the same. This book is by far the best parenting book I have read. Many parenting books talk about why children behave and talk in certain ways without recommendations on what to do. This book is full of practical applications. I put ticket only liked various demonstrations of how things typically go versus what we could do differently. I would recommend this book to anyone who are struggling as to how to talk to their kids. This is a good read for parents of toddlers and pre-teens. Not recommended for parents of teens. I am not sure it’s thorough, however, it was useful. I liked the simplicity and role play. Not a full reading of any of their books but a good highlight reel or primer if you're wondering how they think. Great condensed content and cases, it seemed my own story! Don't think this book is incomplete because it lasts only one hour! The theory is easily explained as a case studio. I used the techniques the very same day I heard it. Now I am listening a second time, and my wife is too. I was surprised to find this book so short. I seems to be a condensed version of a longer book, that I wish I had bought instead. I love these ladies and their books. So helpful and uplifting, with both thought provoking ideas and usable strategies. They truly value the parent-child relationship.